Not to take anything away from Meira Kumar, but the choice of her candidature shows Congress and the entire opposition is still stuck in Dynastic era. They fail to understand that hatred against dynastic politicians among common man has been one of the major reasons for Modi’s rise and Congress’s fall. It’s not that the opposition can’t find any first generation leader, it’s that they don’t want to. The cabal is so naturalised and deep-rooted that if any of such leaders read this article, they wouldn’t be able to understand what the fuss is all about! Politicians that were born out of Emergency, Mandal and other such movements, abandoned the movement and hence the dearth of next generation leaders in their parties. They have only their offspring to fall to. It’s ironical since 20-30 years ago, those very politicians used to badmouth Congress as a dynasty. I had some hopes from AAP to emerge as a national opposition alternative, to keep the checks and balances of democracy, but those hopes don’t seem to materialise anytime soon. Not that it is BJP’s or Modi’s doing, but a weak opposition is never good for a democracy. First Uttarakhand and now Arunachal; Supreme Court has set aside President’s Rule in these two states. This is a big blow to the credibility of the Central Government. Given the polarized political times we live in, I don’t think this will hurt the popular Govt much. More so, when we have supporters ready to justify anything and everything without merit. But as for the legacy of this Govt., this is real bad. The pattern by which the President’s Rule was imposed was similar in both states. Ruling parties MLA’s rebellion followed by speaker taking action followed by dismissal of the Govt by Center. Both places Court ruled in favor of the erstwhile State Govt. Both places had Congress Govt. Modi is doing some good work, but criticism should be done where due. Even the ardent supporters of BJP should take note and should question this misuse of power. This goes against federalism. Earlier Courts were subservient to the Govt and were wary to rule on such things. But after the dark days of Emergency, Courts have learnt and Collegium system has helped them to become more independent than any other country. Setting aside the President’s Rule in Arunachal is another historic verdict after Uttarakhand. This is one of those landmark judgements which will act as deterrent to such proclivities in future. It to have happened under Modi feels bad. He has to preempt such negatives, given that his detractors regard him as autocratic and dictatorial. It gives them another weapon to attack him, and rightly so. This would also strain good relations between President and Central Govt. Pranab Mukherjee would not like seeing his name being sullen in the annals of history. What was the political need for such hara-kiri by BJP? It takes away a lot from the good work being done. Hopefully there is some course correction done. Minister in Maharashtra cabinet, BJP leader Eknath Khadse was forced to resign over graft charges. Maha politics is based on land grab and this is one such clear case. What happens to Khadse after this will define the tone of subsequent election campaigns by BJP. Will he be charge sheeted or will he be let off just like Ashok Chavan, of the Adarsh shame? Amdist all this, India Today channel had a special guest dialing in to discuss this issue. The guest was none other than Ashok Chavan. And the host was none other than Rajdeep Sardesai, one of the most biased journalists in India, evidently proud of it too. Anyways, Mahamahim Ashok Chavan ji was being asked if the action is enough on Khadse or should there be an enquiry too and he be taken to task. Ashok Chavan agreed that there need to be a high level judicial enquiry etc etc. Rajdeep who was relishing with the first wicket to fall from Modi’s “Naa Khaoonga, na khaane doonga” chant, didn’t ask Chavan that, “Do you think, Khadse’s resignation is just an eyewash, just like your resignation was?” or “Do you think Khadse is a land grabber just like you?” I mean how low will such journalists go? They call in corrupt and tainted politicians on their shows due to closeness and quid pro quo and legitimize such people. Call all you want but grill them. Not given them open audience to be a hero. What authority does Adarsh tainted Chavan has to speak on Khadse. I mean why would you even call him? If you call him then don’t cozy up to him. Ask him tough questions. On the issue of Khadse, it is a serious blow to Modi, but not some boon for Congress. This is a boon for regional parties. Khadse has resigned but won’t go down easily. In Maharashtra land grabbers are big politicians and Khadse is one of them. Unfortunately he has huge backing of people and a known grass root politician. He has all qualities to be a Yedurappa-2 for BJP. Don’t be surprised if 6 months down the line, Khadse is given clean chit and he is back, either in Maharashtra or Centre. Having been so long out of power, BJP was guarded from graft charges too. With so many states and Centre under its belt, graft charges will surface regularly now. It will be a big headache to BJP as how to deal with it. As we saw in Yedurappa case, acting against the corrupt has potential to destroy the party in that state. So what will it be five years down the line? Will Modi be able to recite, “Naa khaya, Naa Khaane diya” or will he be left wanting by BJP’s Congressmen. AgustaWestland scam which was relegated to the sidelines by BJP, Congress and Media for last few years is back in news. Courtesy Italian Court which handed sentences to bribers and named prominent Congress leaders. BJP has been quick to condemn Congress leaders to come clean. Wait what? Yes you heard it right. BJP is asking the thugs of Congress to come clean. Has any thug ever come clean voluntarily? Never! Let’s be every clear, it was gullible on our part that BJP wants to nab the corrupt. Nobody wants to do that. This was just a charade. Even now the posturing against Congress will continue till media flashes the story. No more. Ah! Yes, also during elections. Media, which has also proven to be a commodity which was bought by these middlemen, will also sooner or later drop the headlines; either by getting paid off or in lieu of breaking news. To me, more than the scams of Congress, what hurts is the inaction of BJP. Coz I had so high hopes of Modi. Maybe I was naïve. Two years on, Vadra is still out. Vadra which whose name made many Indians’ blood boil; whose corruption was poll plank of BJP. He is still out of jail. What can we expect of other such promises? We should come to realize that nothing is going to happen to these bigshots. The best that will happen is they might not be allowed to do more of corruption. We should start feeling content with this. I seriously hope, soon a national party, alternate to BJP and Congress emerges at the National Scene, with less history and lesser baggage. These seasoned politicians have done us in. So Mr. Salman Khrshid, torch bearer of Congress party is following the footsteps of another Congress leader Mani Shanker Aiyer. 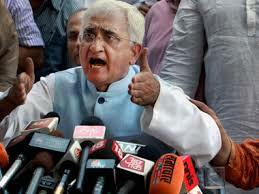 Mr. Khurshid is of the opinion that India has not responded well to Pakistan’s friendship hand. “India ignoring Pakistan’s overtures for peace”, he said while on a personal visit to Pakistan. Moreover he praised Pakistan’s fight against terrorism. Applauded Pakistan while deriding India. Well it is not surprising from former external affairs minister of the country. These remarks lets us know why India had a soft foreign policy under him. A Cabinet Minister who shared cabinet with one of most corrupt Ministers in India ever. A cabinet minister who bowed in front of Gandhi dynasty (aka Katappa from Bahubali), for becoming a minister, this statement is not surprising. To settle their petty politics and coming back to power at any cost, such people are destroying India’s credibility abroad. A former external affairs minister when makes such pro-Pakistan statements that too in Pakistan, implications are global. His statements will be played up against India by Pakistan media. But a man from political dynasty himself couldn’t care less. From sting of fund embezzlement for the invalids to appearing for banned organization SIMI in court, he seems to have no shame when it comes to making money and clinging to power. Such people are the real face of most Corrupt party in India ever aka Congress. Anyways one who bows to dynastic heir Rahul Gandhi, we should not have any expectations. I just can say this to you Sir, since you destroy my Country’s name globally, it’s all our fault Sir, that we elected you. It’s what we deserved. I don’t have political leaning as such to any side. I have admired Congress, BJP, and AAP at different times due to their actions and also berated all of them, again for their actions. Also I have don’t have any mumblings about people’s ideology whether it is right, left or center. At present times, at least among the people I meet, I find number of BJP supporters, AAP supporters. Congress supporters are getting fewer day by day and are therefore hard to find. Still whatever Congress supporter I come across, I always ask this one question. “It’s okay that you support Congress’s secular ideology. It’s okay that you cheer for the party. But how can you support Rahul Gandhi?” A lot of times I get a smile to this question. I would like to explain why I ask this. The same question I ask the so called rationalists to justify the rationale behind supporting Rahul Gandhi. Please explain me and I will be indebted to you. For me those who support Rahul Gandhi represent the people who support dynastic politics. People with “Ramu Kaka” mentality. 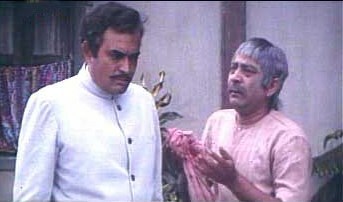 Classic Ramu Kaka from Bollywood films. He will serve the Maalik with utmost loyalty and then serve Maalik’s son. He will call him Chote Huzoor. Now Ramu Kaka is genuine in his devotion towards the family of his Maalik. I feel Rahul Gandhi sympathizers, suffering from Ramu Kaka syndrome. They are loyal to Nehru family. They will serve Chote Huzoor no matter what. They don’t do it for salary alone; they do it as they have to. They can’t help it. I know most of the population supported Indira/Rajeev due to the same syndrome. But a lot of time has passed since. India has evolved. 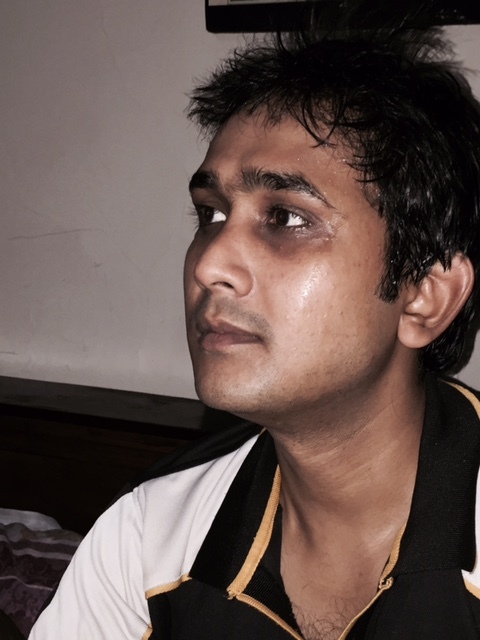 Social media has brought hypocrisies of Media and loyalties of Ramu Kaka’s out in the open. People have become smarter now. I am sure in times to come; such Ramu Kaka’s will get less and less in number. I just have this to say, any self respecting individual can’t be a Ramu Kaka. Maalik and his family will prosper while your son will grow up to become another Ramu Kaka. Spine up, if not for yourself, then at least for your children.